Microsoft updated its email service, Hotmail, bringing rapid changes to its outlook in ways of design, features and upgrade in tools. This way later followed by Google’s GMail which kept its design intact but brought a great new feature known as the Google Voice, providing free calls. Yahoo Inc. has now stepped in to rebuild, redesign its email service. Yahoo made this move to help regain a user decline while also gearing up for the battle it has been facing for a long time from Microsoft and Google. 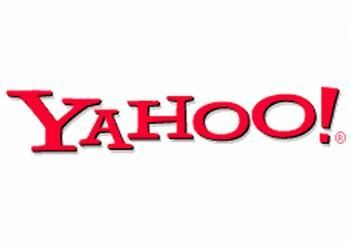 While users made a switch, Yahoo also suffered from the social-networking sites such as Facebook and Twitter. The massive plan to re-design Yahoo Mail is codenamed ‘Minty’. Minty’s main aim was to increase the speed of the service in overseas market where Internet Connections are slow compared to developed countries like the U.S. While making an upgrade to the speed of the service, Yahoo will also change the outlook of the service making it more simpler that is easily loaded on mobile devices. The era of mobile services are in high demand with users accessing email service from their smart phones such as the Apple iPhone and iPad as well as Google’s Android Software. All updates made to the service will take affect from this fall. We continue to innovate our product experiences, and specific to Yahoo Mail, we have been previewing our next version of email that provides higher performance, sleeker design and great integration. Even after the big giants including Gmail and Hotmail. Yahoo Mail is the No.1 Web based email service in the U.S. with 97 million unique visitors in August but a major decline seen gradually. Yahoo Mail is also threatened by the rise in the mobile markets bringing in Google in front with the Android Software.